Yahoo on Thursday announced plans to bring Apple Watch extensions to four of its iOS apps by April 24, while ReSound launched a Watch app for its iPhone-compatible hearing aids. The Yahoo Weather Watch app will offer morning and evening forecasts via notifications, and a "feels like" Glance feature. As with other Glance-enabled apps, more detailed information can be accessed by launching into the app itself. 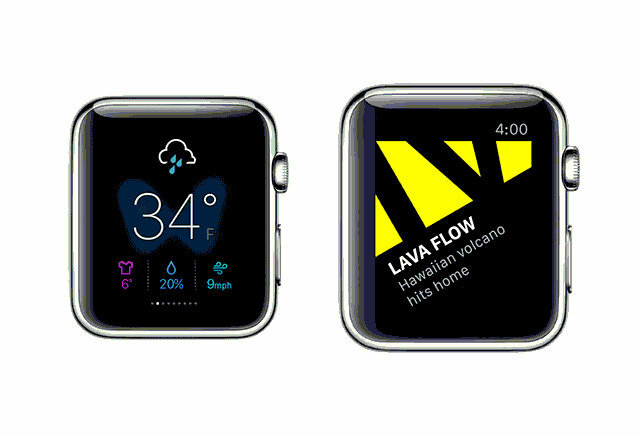 Yahoo News Digest will deliver one top story to U.S. Apple Watch owners every hour. Each article is accompanied by a brief summary and "visual atoms," such as maps or infographics. Users will also be able to speed-read through articles. Yahoo News Hong Kong will deliver breaking stories to the Watch and show a list of top-10 headlines in Glance mode. Yahoo Fantasy Sports, finally, will provide information on match-ups and injuries, and use dictation features for sending messages to other league players. People with a compatible ReSound hearing aids, such as the LiNX2, will be able to use the Watch extension of the company's Smart iOS app to adjust volume, treble, and bass, and switch audio profiles when moving into a different audio environment. The app will also provide "at-a-glance" details, according to ReSound, such as information about currently active profiles. 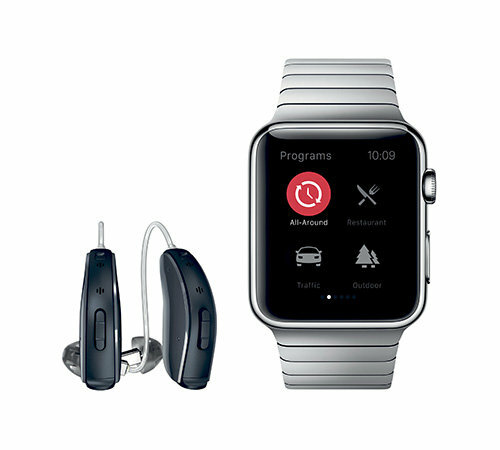 ReSound was one of the first companies to make iPhone-certified hearing aids. Through an iOS app, users were able not only to control sound levels but to set up geofences for profiles, or locate a device if it went missing.